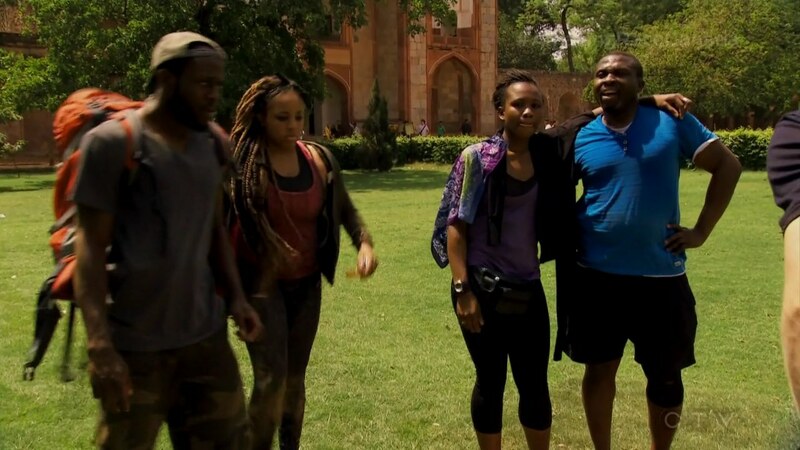 Recap: The Amazing Race Canada 3, Episode 9 – "You might as well just stick your head in a fire." Recap: The Amazing Race Canada 3, Episode 9 – Take Your Clue and Gooo! Teams fly to Delhi, India. Once in Delhi, teams must make their way to Ghazipur Fish Market. Simi & Ope are in first and open the next clue. 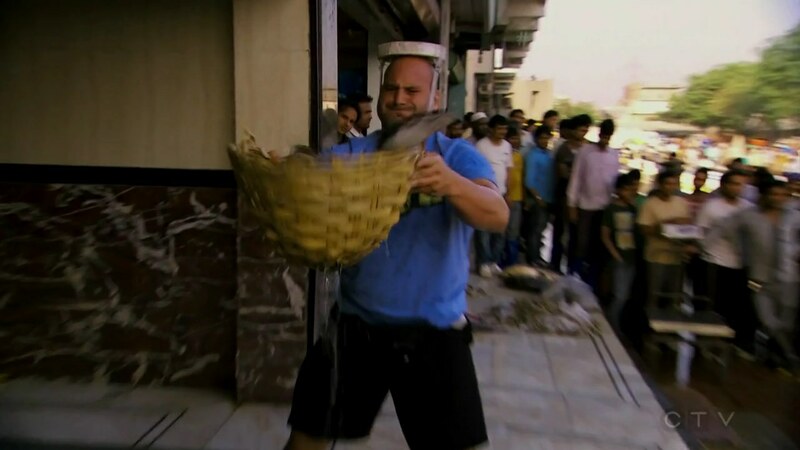 Each team member must fill a basket with live catfish, use a traditional flattened carrying hat and deliver it across the market to the vendor. Once each has delivered 20 catfish, they’ll get the next clue. Nick & Matt move into first with Simi & Ope close behind as they open the next clue directing them to hop into a tuk-tuk to Faily-Bartha Village. There, teams find the Road Block: Who wants a head start? For this Road Block, teams will need to learn how to tie three different styles of turbans onto men waiting to go to a wedding party. Once their turbans are approved, they’ll get the next clue. While Sean is back at the fish, screaming, Matt and Ope decide to do the Road Block. Gino and Dujean arrive next. Both Simi and Leilani wish they were doing this task instead. They all wonder where Brent & Sean are. Sean is throwing up in the tuk-tuk, actually. He apologizes for the driver needing to wash off the vomit later. Sean decides to do the Road Block. Matt and Gino ask for a check, but both only get one right. 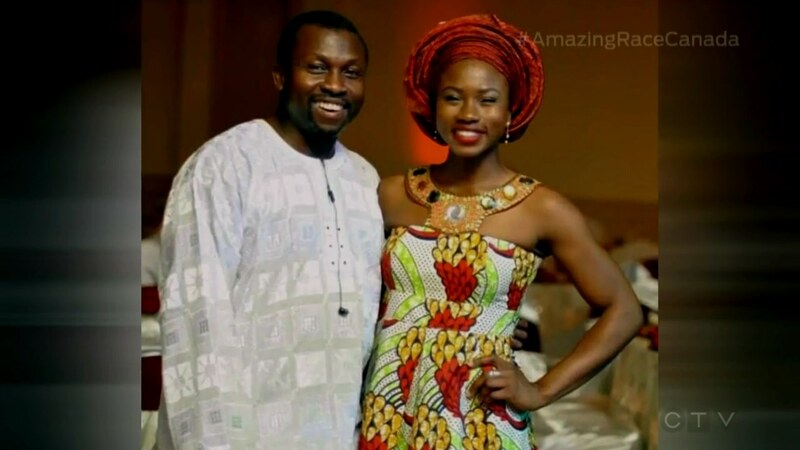 Simi sees her father is doing the task wrong and tells him to reread his clue. Ope realizes his mistake and starts over. Matt asks for another check and this time gets the thumbs up for all three. He and Nick now head to the M-Block Market in Greater Kailash where they must find their clue in a nearby park. Gino & Jesse are close behind. Ope asks for a check and gets all three turbans wrong. Dujean gets two while Sean gets none. At M-Block Market, Nick & Matt find the clue which reveals the Detour: Slam It or Spice It. In Slam It, teams will learn a series of seven Kushti wrestling moves to perform on each other. They must perform the moves in order for a judge. In Spice It, teams will make their way to Old Delhi by rickshaw and find the Khari Baoli spice market. Here they will grind up enough chili to weigh 100 grams. Nick & Matt of course choose Slam It. Back at the Road Block, Ope gets his second wind and gets the thumbs up on all his turbans. Dujean & Leilani are close behind. Gino & Jesse finally find the Detour clue and choose Slam It. Nick & Matt arrive at the wrestling club and jump right into it as Gino & Jesse arrive. Simi & Ope and Dujean & Leilani both choose Slam It as well. Leilani is excited to be throwing down Dujean. But Simi & Ope are having trouble getting the moves down. Ope then starts feeling his back spasms so they decide to switch. Brent & Sean also head to the spices. Nick & Matt are ready for their first attempt and they easily pass. They open the next clue pointing them to Humayun’s Tomb, the Pit Stop. It’s Gino & Jesse’s turn to attempt the moves and they also pass. At the spices, Brent & Sean catch up to Simi & Ope. They start grinding the chilies, but the spiciness begins to affect their skin and eyes. 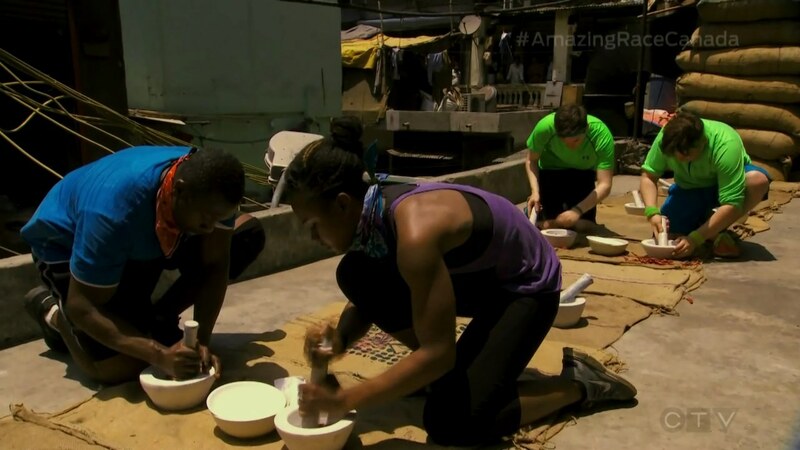 Simi & Ope go for a check with their powder, but the vendor tells them to get the big skin parts out. Meanwhile, Nick & Matt run to the Mat and they finally check-in first to win a Leg. Jon tells them they’ve won a trip to Amsterdam and gas for a year. Gino & Jesse have to settle for 2nd. Back at the spices, Brent & Sean get their 100 grams first. Over at the wrestling, Dujean & Leilani have to make sure they’re getting move #3 down before they can continue with the rest of the moves which they ace. Simi & Ope finally finish the Detour and it’s a Race to the Pit Stop. They believe they are 5 minutes behind Brent & Sean. But Brent & Sean are stuck in traffic. Simi & Ope step on the Mat and are shocked to find out they are Team #3. Dujean & Leilani are right next to them and are relived to be Team #4. That leaves Brent & Sean in last. But this is a Non-Elimination Leg. Another great Leg. As always, India delivered. And the teams delivered this Leg as well. The opening task (I think we can call it that now since TAR Canada will officially have an Active Route Marker task as the first thing on every Leg) was good. It’s definitely a task that could’ve been done in any Southeast Asian country, but not knowing when TAR Canada might even return to Southeast Asia, this was a good spot for it. The Road Block was good too. I don’t know if I prefer this or the TAR Asia and Australia task of unraveling turbans of random men to find the correct one. Though I don’t remember if they had to put the turban back together. If so, then that one is better since they’d have to do more than 3 at least. But this was pretty good as well. Plus, the clue giver was awesome! The Detour was interesting. I kinda wish we had the teams going into the market more than just the one side of the Detour. I guess the rickshaw delivery side of the Detour from last Leg checks that box off. But I think the Chandni Chowk is a big landmark of Delhi, right? They could’ve had a really great, chaotic Detour there. Also, I was confused why Nick & Matt were running the opposite direction as Gino & Jesse at the Pit Stop, yet arrived at the Mat seemingly more than several minutes between each other. There was apparently some extra route info at the end which directed teams to donate all their remaining money to the children of India, a la the orphanage in TAR19 Indonesia. What’s even more interesting is as you see above there are two different clues. From the editing, it would appear Nick & Matt were the only ones to get the clue with the Hindi writing at the bottom while everyone else got the 2nd clue. That would explain why none of the teams were shown reading the Pit Stop clue aloud. Very interesting! Overall though, it was a great Leg and very exciting. One thing I have to point out though. The strangest part of TAR Canada is their use of confessionals that are obviously taped at various times. Completely different clothes and backgrounds are very noticeable. Some confessionals look like they were done after the Race too. It is very interesting to note. Simi & Ope are definitely the team I am rooting for the most to win it all. They’ve done well this entire Race so far. But I definitely think they should step it up and maybe make better decisions. I was shocked that they’d choose wrestling over the chilies. There must have been something in the clue that made them think it was easier. If they had chosen the chilies from the start, who knows? Maybe they could’ve finished 1st or 2nd even. The other four teams are pretty much on equal footing for me. Expecting this was a Non-Elimination Leg, I knew Brent & Sean were safe even when they fell to last. So their crying at the Mat was fun. They scream at fish, do not do well with pressure, yet I’m not so sure they will easily get eliminated. They seem to recover well from bad Legs, but still also have the tendency to fall behind and stay there. Dujean & Leilani have kinda been the opposite since they never really panic, even if they grow frustrated with each other. Maybe in this Leg, they didn’t even think being in danger was a possibility. But even so, they are steady and focused which is a great attitude to have. Gino & Jesse are an amusingly interesting team. They’re the alpha male, buff brothers yet they have regularly been shown to use their heads maybe even more than their muscles. That’s very interesting and could very well be foreshadowing. Big congrats to Nick & Matt even though a better story would’ve been them also missing out on 1st place until the Final Leg. Hehe. The wrestling Detour definitely gave them the edge in securing the win though, so they might have lucked out just a little. Still, a deserved win.